Choral Vacancies - New Zealand Choral Federation Inc.
Is your choir looking for a music director or more singers? Advertisements for vacancies for choir directors, or other key roles, may be placed here for up to three months at a cost of $70 (NZCF member choirs) or $120 (non-members) – this includes up to three insertions in the monthly NZCF eBreve and quarterly Ictus. See Advertising for more information or contact office@nzcf.org.nz to place an advertisement. This is an exciting opportunity for experienced and passionate choir directors to lead the Wellington Youth Choir. The position will start in February 2019, with the 2019 year running through to October. WYC was established in 1989, and works with young people aged 18-26, providing a bridge between school choirs and community choirs. If you are experienced at working with young people, and passionate about a diverse choral repertoire, we would love to hear from you. The Musical Director is supported by the WYC Committee members, and will benefit from other contacts in the Wellington choral community. To apply, please send a cover letter to wellingtonyouthchoir@gmail.comoutlining your background, any relevant qualifications and experience, as well as any ideas that you have for WYC’s 2019 repertoire. Please feel free to include any other information that you think may be helpful. For more information, visit www.wellingtonyouthchoir.wordpress.com, or contact Steph James (Chairperson) at wellingtonyouthchoir@gmail.comor 021 512 328. 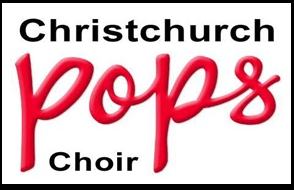 The Christchurch Pops Choir is seeking a new Artistic Director to start in early 2018. This is a great opportunity for a dynamic musical leader to assume the role. We are a choir of 80-90 singers aged from 20 to 65 who sing choral arrangements of popular music- Gospel-Gershwin-Gaga and anything in between. Founded by Luke di Somma in June 2011, the choir has been led by Ravil Atlas since 2015. We perform to a high standard and are looking for a new artistic director who can sustain this level and continue our growth as singers, musicians and performers. We love what we do, but want to go on getting better. important part of Christchurch’s musical landscape. We have performed at many charitable, civic and corporate events, supported by our principal sponsor, Christchurch International Airport. We have also thrilled audiences with our vibrant versions of popular music in our annual concerts in Christchurch and around the South Island. Applications close 10 February 2018.